Today, you are privileged — privileged — to receive a guest review from Somerset, who is possibly Space-Biff!’s most dedicated reader. 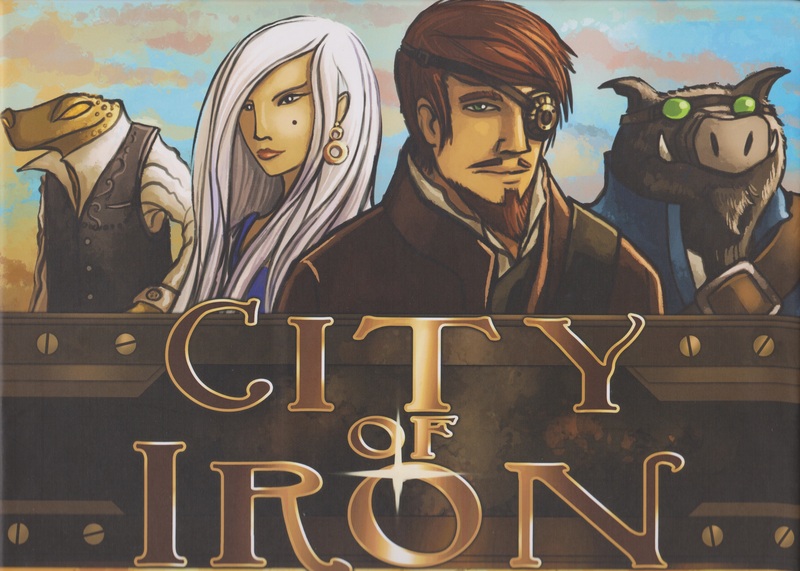 Today, she’s going to tell us about an expansion to one of her favorite board games, City of Iron, which we reviewed over a whole dang year ago, which makes this sort of a special event. Always been convinced that srikas are the sure way to victory, but never quite been able to prove it in gameplay? 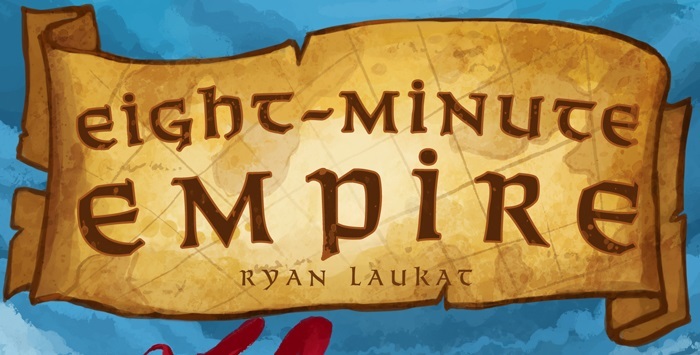 Well, here’s your chance to show everyone your srika strategy is now totally viable. 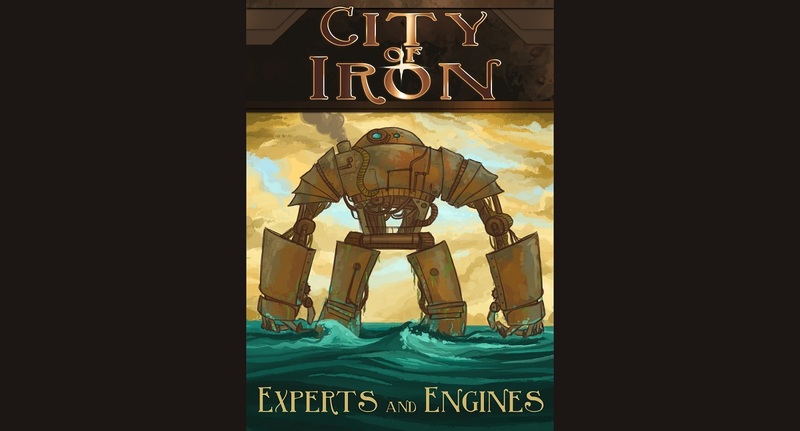 Experts and Engines, an expansion for Ryan Laukat’s City of Iron, spices up the game with four new elements. Each nation becomes more diverse, steambots arrive on the scene, Kraxian Pirates make their debut, and new buildings and towns are up for grabs. Take a look after the jump. Dragon’s Tiles! Dice Towers! Mayhem RPG! A ton of publishers, like Crash Games, Red Raven Games, and Gamelyn Games! War Command Haven! Ryan Laukat, Michael Coe, and other designers whose names we can’t remember! That’s how many there are! All this and more, at SaltCon 2014! So come along, as Space-Biff! investigates exactly what it is that makes this board game convention the third-best in the Mountain West. We all knew this day would come — oh, you’re not sure what day I’m talking about? Well, clearly the day when Dan wouldn’t be satisfied with merely being the man behind the internet’s one and only boardgames and PC games blog. 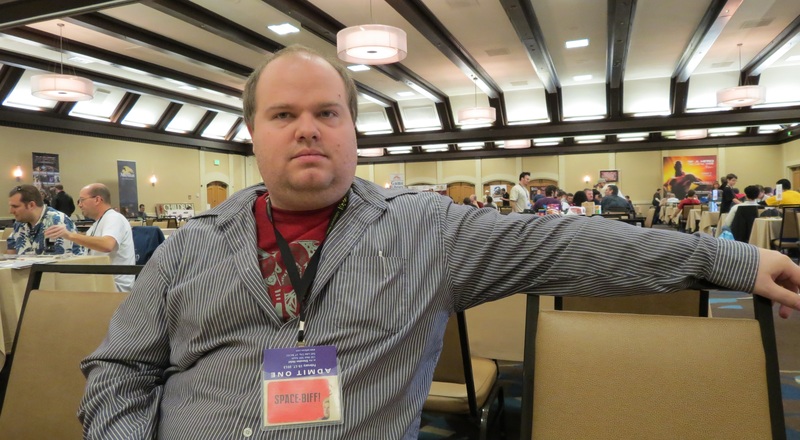 Now he’s decided to branch out into New Board Games Journalism, which he just coined earlier today. Coined and minted. Thank goodness there was a local opportunity to flex his new investigative journalism skills. SaltCon is in town for the weekend, and Dan managed to procure exclusive coverage of the entire event. Seriously, the whole thing. And it was pretty darn awesome, with lots of cool designers showing off their newest games. Footage below. 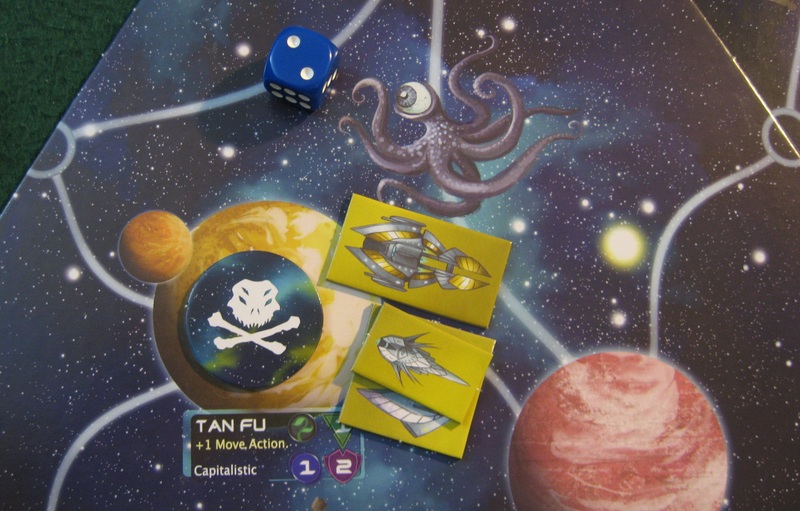 Yellow squadron uses a giant die as a distraction for their invasion of Tan Fu. This is fine, because Wee Aquinas usually comes out on the wrong side of genre arguments and this has been a big get for him. Also, because Red Raven Games never claimed Empires of the Void as a 4X game—just that it’s a good one. And on that count, they’re absolutely right.